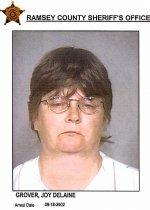 The 50-year-old Minnesota woman (aka Joy Grover) was recently arrested by St. Paul police for allegedly trying to croak her 57-year-old husband. 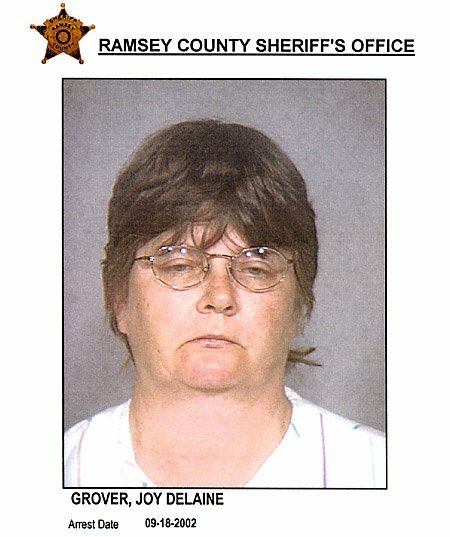 According to a Ramsey County criminal complaint, Ms. Metz made several attempts to off her husband (investigators claim she wanted to use Bruce Metz's life insurance policy to pay off her gambling debts). "I'm just mad at him because of my gambling problem. I'm going to kill him," Metz told cops.